Infrared heat waves are long electromagnetic waves located very near the visible part of the electromagnetic spectrum which give off a large amount of heat. A typical electric infrared heater consists of a heating element, a reflective surface and a protective shield to prevent direct contact with the source of heat. In a tube heater, the element is surrounded by a tube which helps to intensify the heat produced. Elements are commonly made from tungsten, or from another alloy, which is then coiled to create electrical resistance that produces heat. The tube surrounding the element is made from a highly conductive material, such as quartz, in order to maximize the infrared energy being released. The tubular material should be radiant emissive on the exterior to provide the greatest amount of heat possible. Radiant heat is absorbed by objects and surfaces without needing a medium such as air molecules for transportation. Therefore infrared heat can penetrate materials and gases more easily than typical convection heaters and more efficiently than UV lamps which require light waves to heat an object. Tube heaters can be both radiant gas and electric. In a radiant gas heater, the heat given off by the natural gas or propane flame produces increased radiance that results in uniform heating of the tube. Other features on a tube heater may include: overheat protection, corrosion resistant materials, the addition of a cooling option for cryogenic purposes and timing-temperature controls. Infrared tube heaters are considered a “green” or environmentally friendly heating option due to their high energy efficiency. In addition to their energy efficiency, tube heaters are also a source of immediate heat as they do not require convection in order to be effective. Thus, there is no lag time between turning the apparatus on and feeling the effects of the heating process. Another advantage which results from the nature of infrared heat is the uniformity of the heating pattern. In convectional heaters, air is moved around a space as it is heated, creating pockets of hot and cold air. Infrared heat is absorbed directly and so the position of air molecules does not affect the process. Common uses for tube heaters include: room or space heaters, industrial uses such as plastic welding, drying of coatings and glass processing, for animal care in zoos and veterinary clinics for incubation or comfort heating, and in medical uses such as easing arthritic pain. Electric tube heaters do not burn fuels and so do not result in the emission of harmful gases. Therefore, they result in fewer health risks during operating. 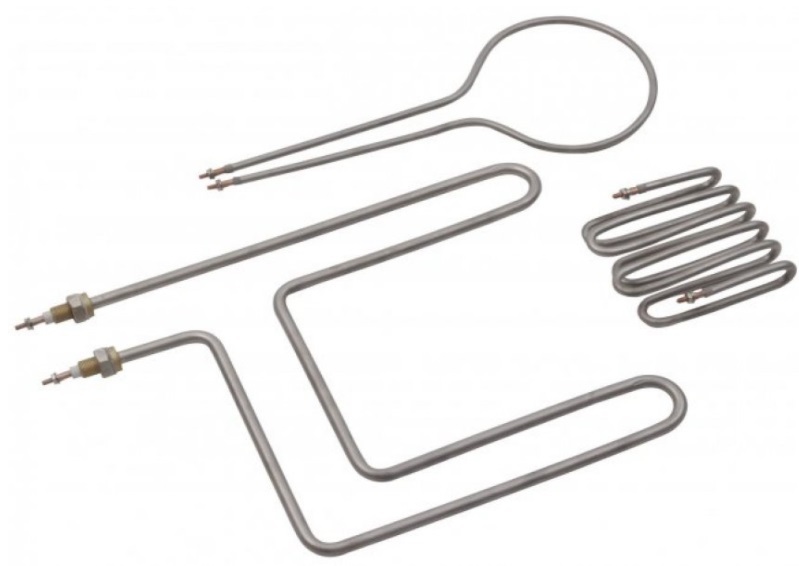 Tube Heaters Tube heaters are infrared heaters which use the feature of a tube, or cylinder to direct infrared energy for the purpose of heating objects, materials or spaces.